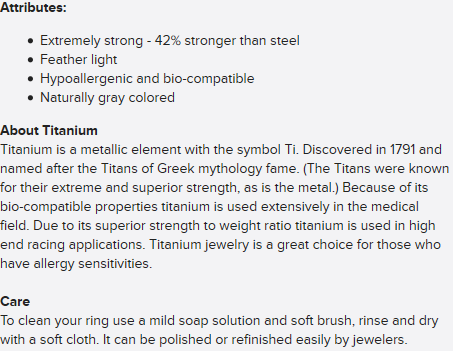 Looking for a great titanium ring for under $50? 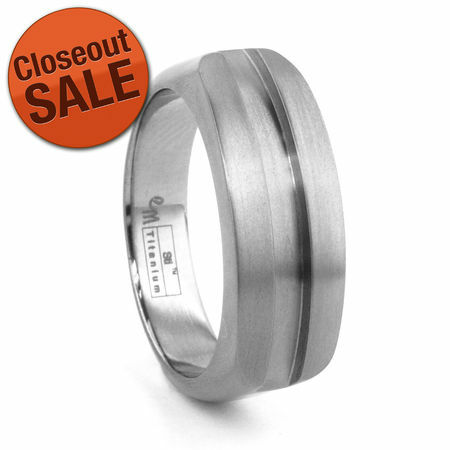 This cool titanium ring has a rounded profile on top and groove through the center. Measuring 7.5mm on top and tapering to 5mm on bottom, with a satin finish. Nice contrast to the ring with the polished groove in the center. 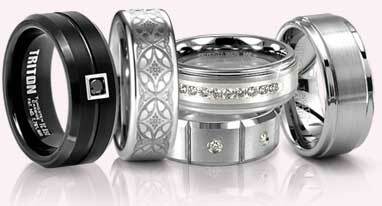 A very comfortable ring to wear, not too big, not too small. I have received many compliments the first week I wore the ring.